The Waffle Experience is a company that is positioned to do great things, and we are delighted that you are along for the ride. 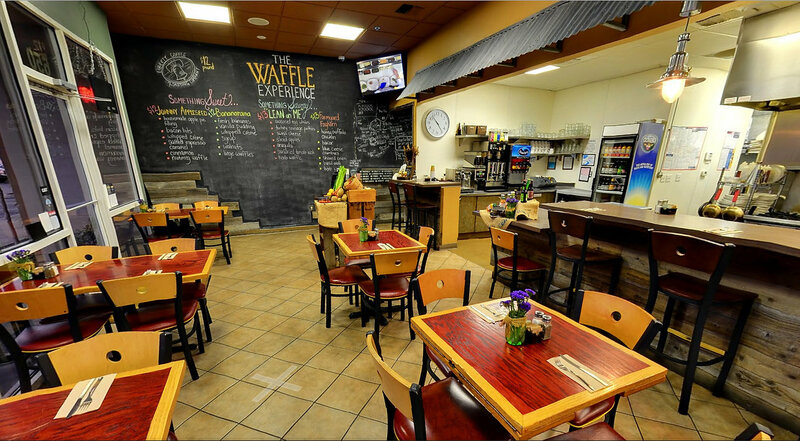 As a unique casual dining restaurant, The Waffle Experience has achieved notoriety, respect, and market share. Our potential is limited only by the creativity of our management and the vision of our owners. Our future in this “growth” industry is flourishing, and we welcome you! Single and Multi-unit territories available. Prior restaurant or food service is strongly preferred. Franchisee Fee – $37,500 first unit, $27,500 second unit, and $10,000 third unit, and $20,000 each additional unit. TERRITORY DETAILS – Territories will be protected to at least a five-mile radius or a minimum population of 150,000. The Restaurant Industry is Booming! According to the National Restaurant Association (NRA), driven by an improving economy, restaurant industry sales are expected to hit a record high of over $709 billion in 2016. Although this will represent the seventh consecutive year of real growth in restaurant sales, the gains remain below what would be expected during a normal post-recession period due to a range of challenges. The restaurant industry will remain the nation’s second-largest private sector employer with a workforce of 14 million. Sales of full service or table-service restaurants were forecasted to reach $219.69 billion in 2015. Full service restaurants are defined as establishments which provide complete and varied breakfast, lunch and dinner menus with a wide selection of food and beverages.